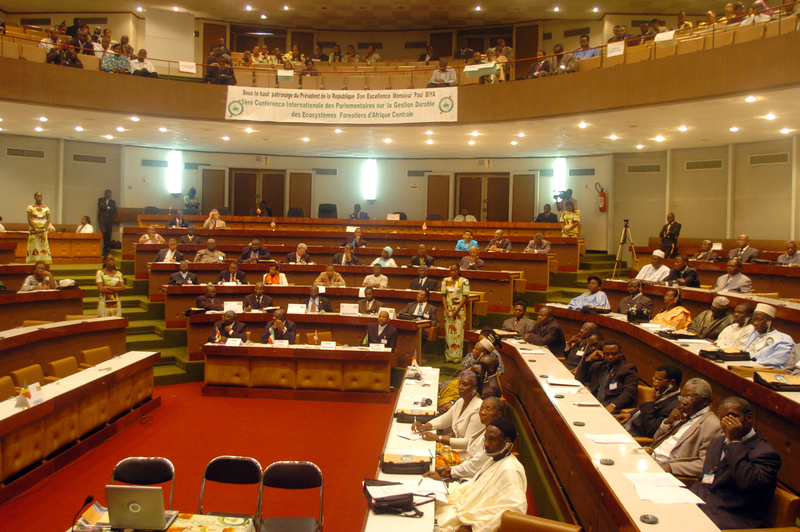 The First International Conference of Members of Parliament on the Sustainable Management of Central African Forest Ecosystems held its final session on Friday 26 October, in Yaoundé, Cameroon. 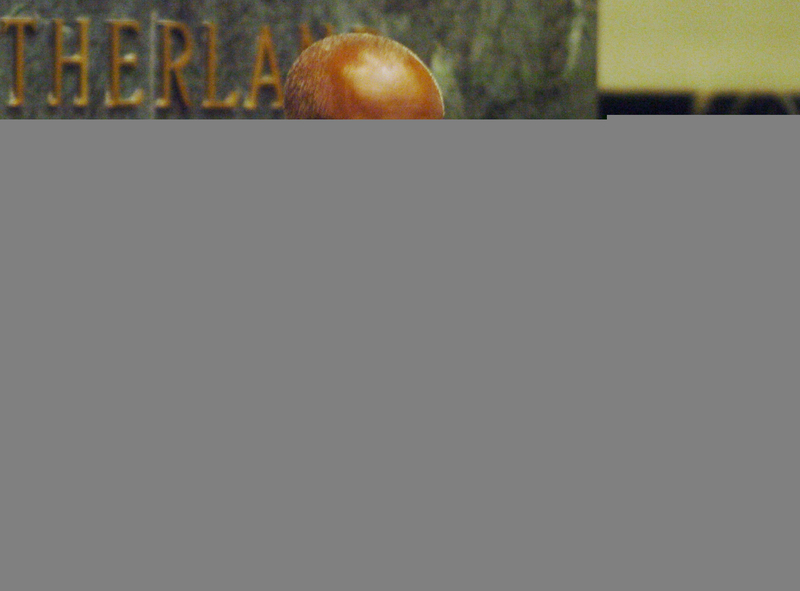 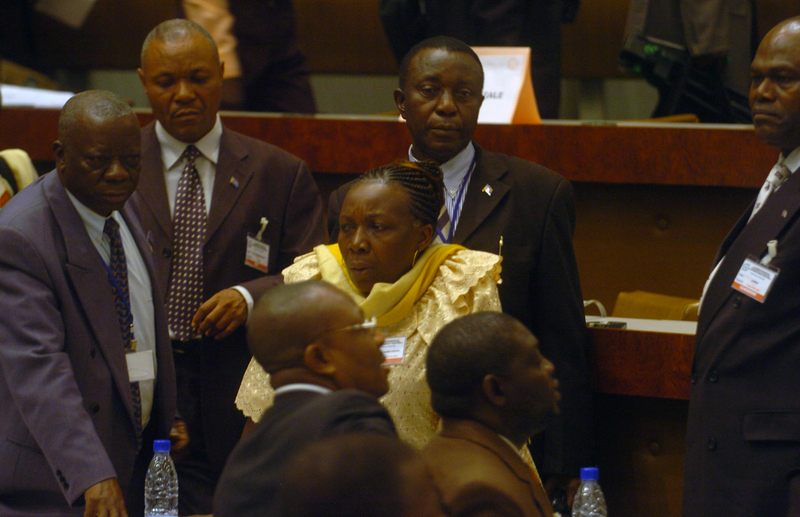 In the morning, Parliamentarians met in a closed session, and in the afternoon, the conference reconvened to adopt the Yaoundé Declaration, the draft Action Plan, and to attend the closing ceremonies. 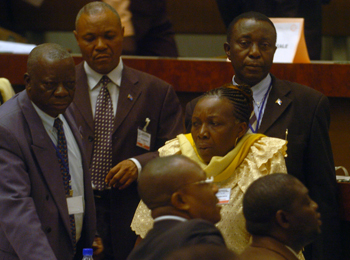 L-R: Matta Roland, National Branch of REPAR; Ibinda Clobert, Congo; Cavaye Yeguie Djibril, Speaker of the National Assembly, Cameroon; and Samson Ename Ename, National Assembly of Cameroon. 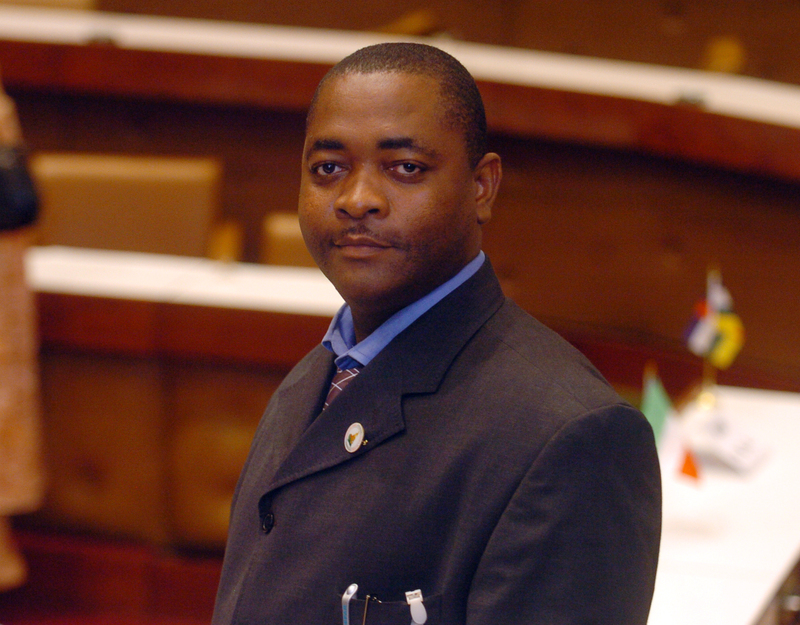 Jayme José da Costa, Speaker of the National Assembly, Sáo-Tome & Principe, thanked the members of parliament and the speaker for the warm welcome and hospitality enjoyed throughout the week. 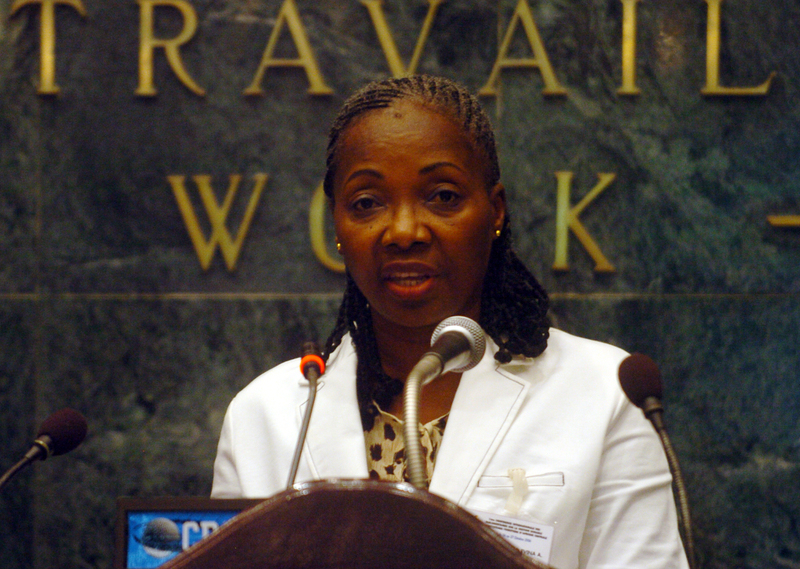 Immaculeé Nahayo, Speaker of the National Assembly, Burundi, thanked donors for their support and appealed to them to support the Convergence Plan and the Parliamentarians Network. 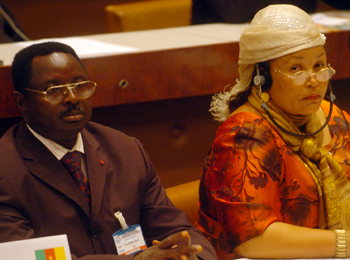 Delegate representing COMIFAC takes notes at the closing ceremony. 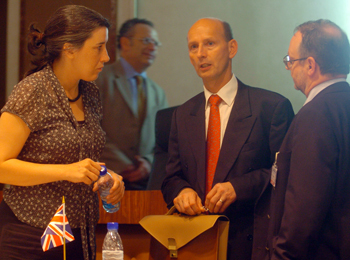 Delegates at the closing ceremony. 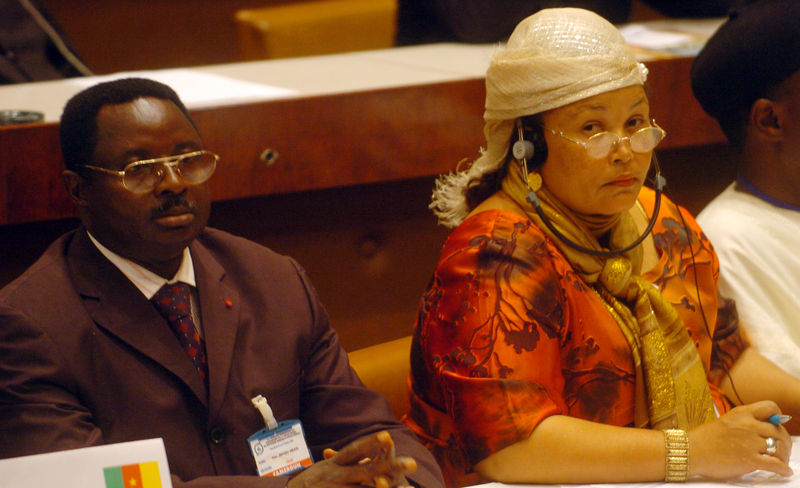 Delegates focus intently as Yaoundé Declaration is read. 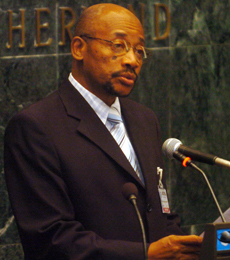 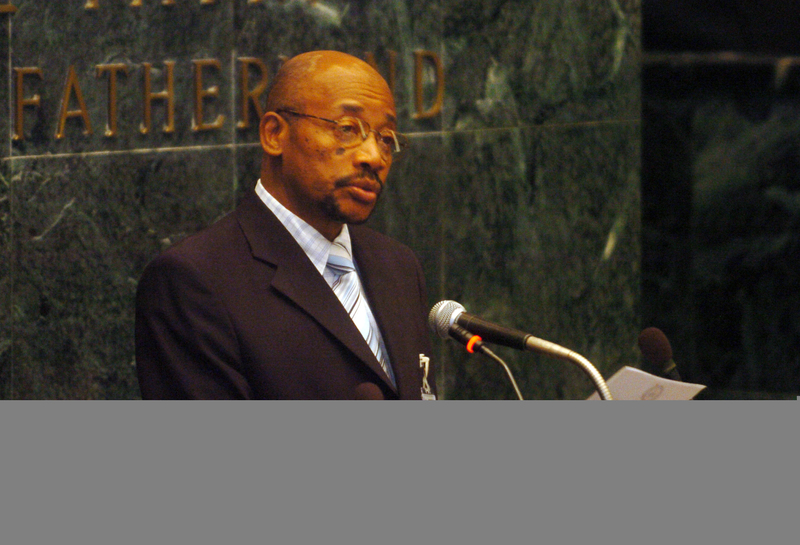 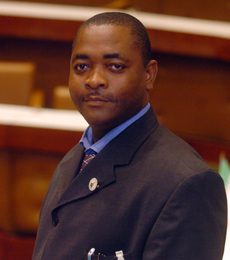 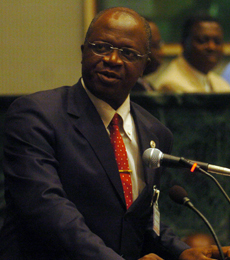 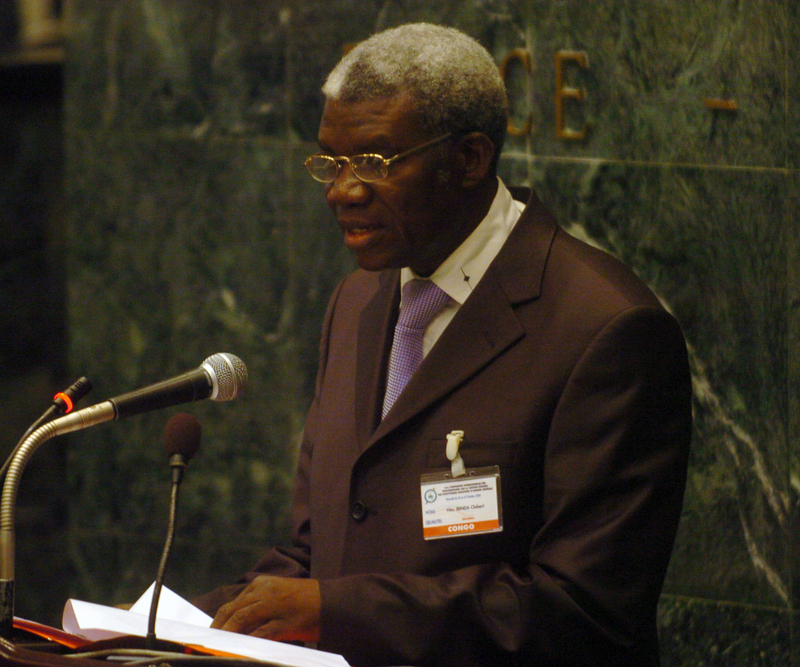 Salomón Nguema Owono, Equatorial Guinea, said his country looks forward to hosting the second parliamentarians conference on SFM in the Congo Basin in 2008. 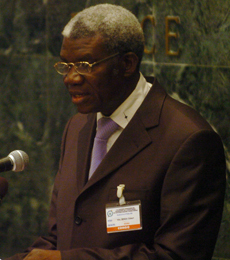 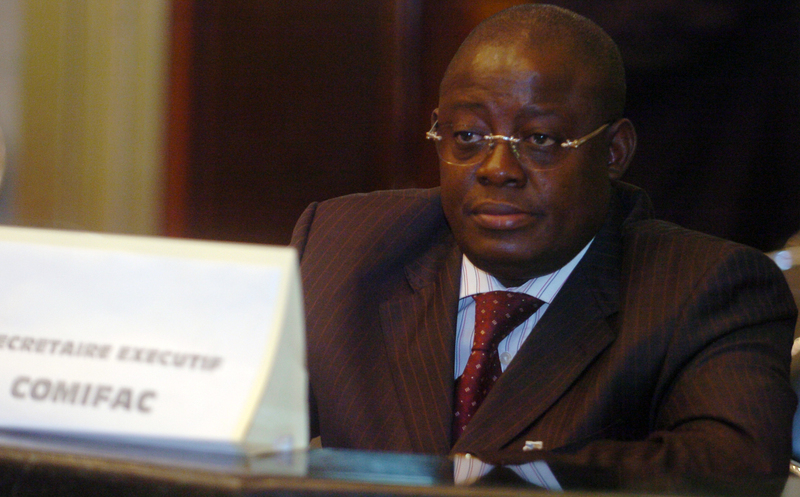 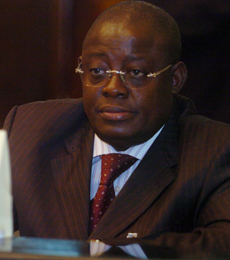 Cavaye Yeguie Djibril, Speaker of the National Assembly, Cameroon, expressed hope that the outcomes of the conference would lead to enhanced protection of the Congo Basin. 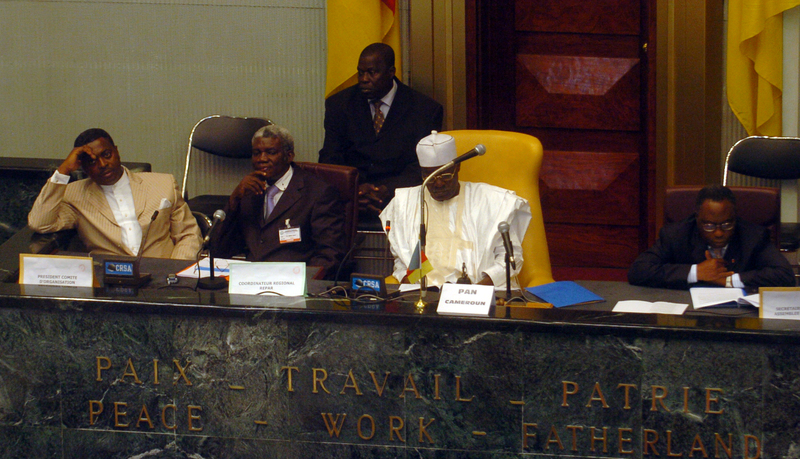 Delegates in consultation during the reading of the Yaoundé Declaration. 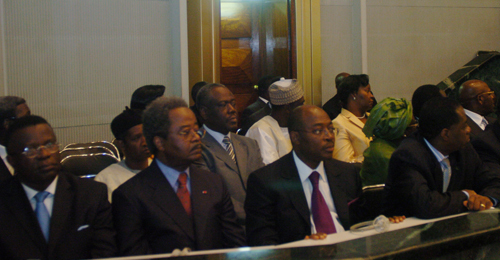 A section of house speakers follow proceedings at the closing ceremony. 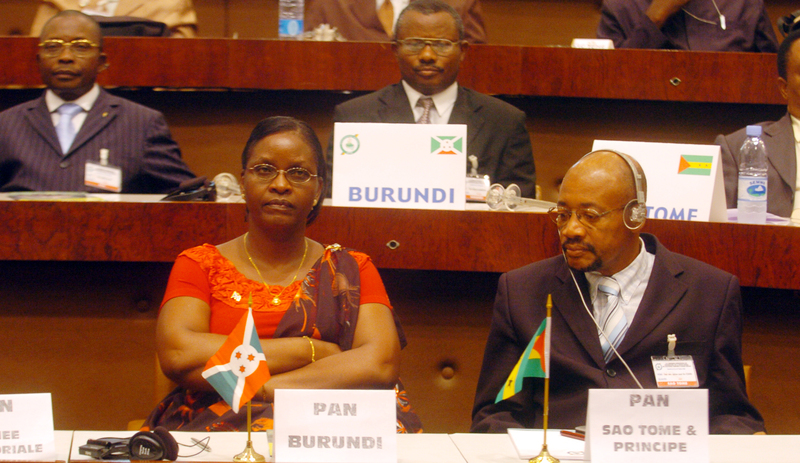 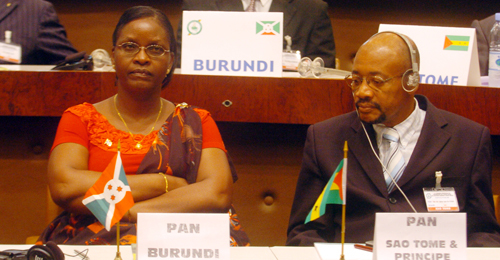 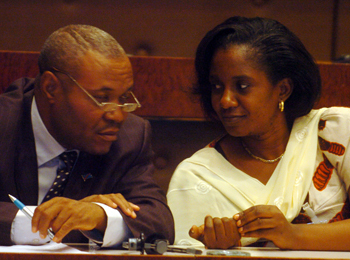 L:R Immaculeé Nahayo, Speaker of the National Assembly, Burundi; and Jayme José da Costa, Speaker of the National Assembly, Sáo-Tome & Principe. 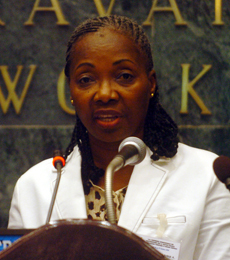 Angeline Ndo Engolo Evina, National Assembly, Cameroon, read the Yaoundé Declaration. 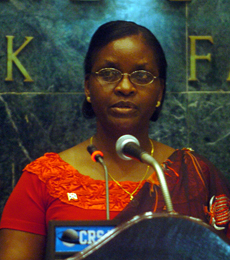 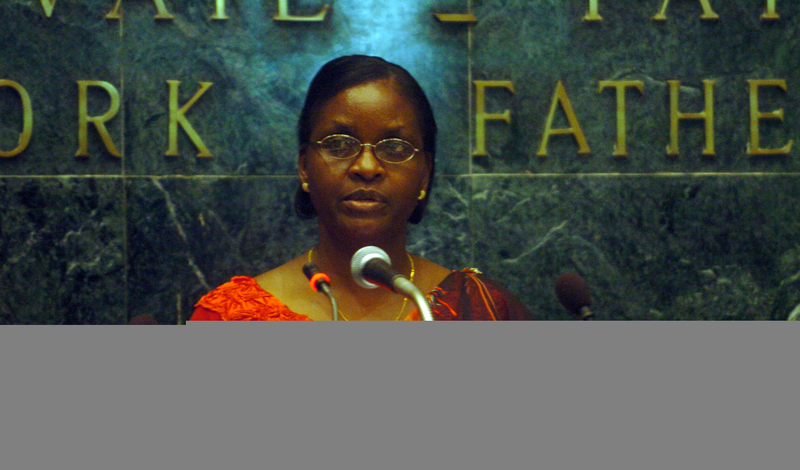 Ibinda Clobert, Congo, supported the adoption of Yaoundé Declaration. 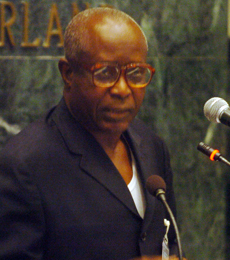 Christian Adonis Milos, Cameroon, conference french translator. 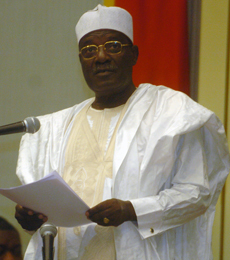 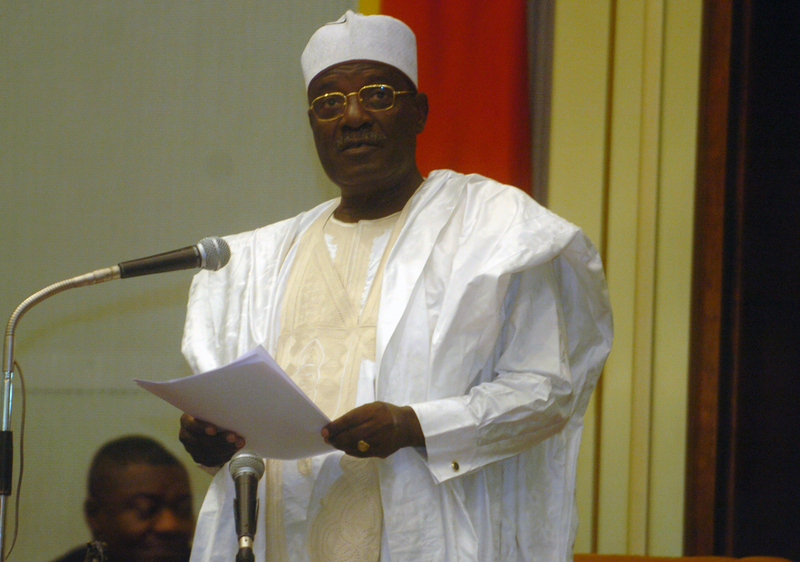 Delegates congratulate each other after the closing speech by the Speaker of the Cameroon National Assembly. 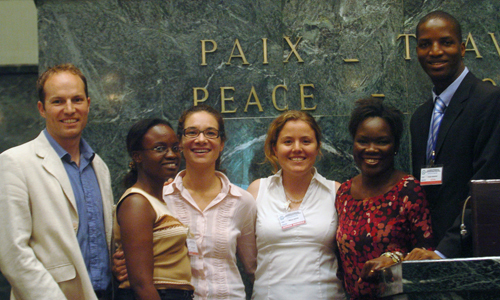 International Institute for Sustainable Development (IISD) Team. 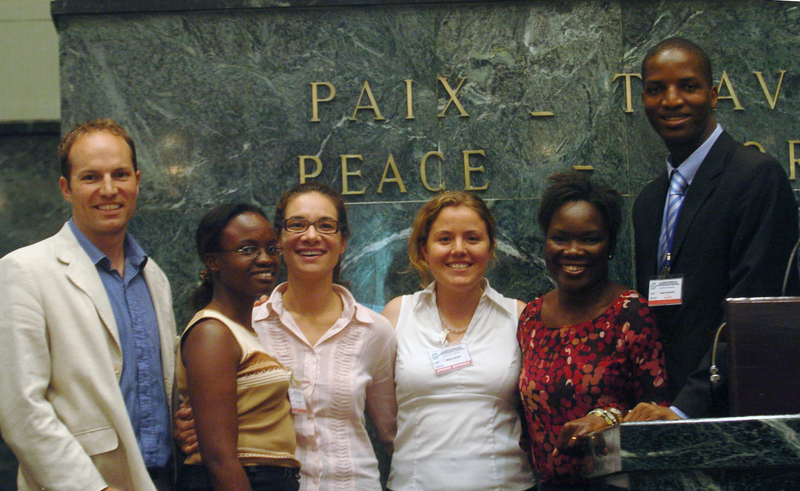 L-R: Peter Wood, Canada; Tallash Kantai, Kenya; Karen Alvarenga, Brazil; Melanie Ashton, Australia; Asheline Appleton, Kenya; and Joe Nyangon, Kenya.